“VooDoo” is a found footage horror film written and directed by Tom Costabile. The film follows a young woman from New Orleans who visits her cousin in Los Angeles when her getaway literally turns into the vacation from hell. VooDoo starts with a cold open of a woman holding a video camera who is later revealed to be a voodoo priestess. She approaches a mother and child playing in a local park and unceremoniously kills the mother and kidnaps the child whom she sacrifices in gruesome a satanic ritual. From here, the film rolls through an opening credit sequence and transitions to the main protagonist, Dani (Samantha Stewart), who is just arriving in Los Angeles from her hometown of New Orleans. Dani is in town to spend several fun-filled weeks at her cousin Stacy’s (Ruth Reynolds) house. For posterity, the New Orleans native enthusiastically films everything during her stay. The two cousins are excited to spend several weeks together. Dani is outgoing, overly flirtatious, and is up for just about anything. Stacy, who is a member of a rock band, also lives on the wild side. The two women spend the days sightseeing and laying on the beach, and the nights out on the town, drinking, taking drugs, dancing, and flirting. Dani reveals that she’s getting over a bad breakup. Unbeknownst to Dani, the man she was dating is married. His wife, a voodoo priestess, found out about the affair and put a curse on Dani. While Dani doesn’t believe in voodooism, she still finds the experience unnerving. As Dani’s vacation in Los Angeles kicks into high gear, she is hell-bent on having a good time—but will she get more than she bargained for? 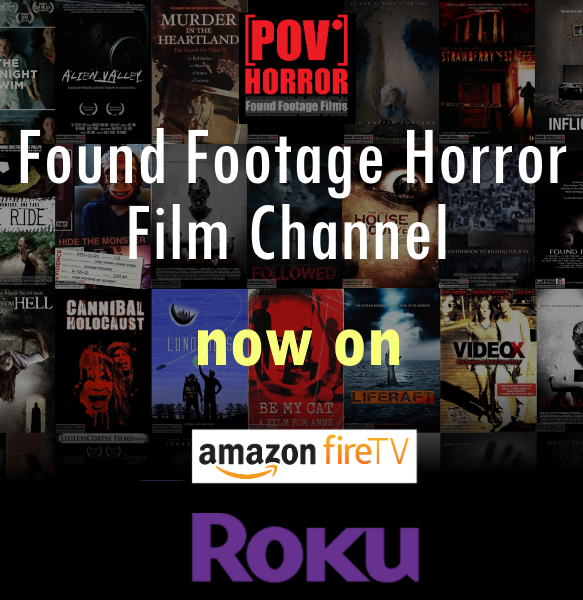 The found footage cinematography is a gauge for how a film replicates actual found footage. VooDoo is filmed with one video camera, which is presumed to be a camcorder. For a found footage film (and to the film’s credit) VooDoo is never overly shaky or challenging to watch. Director Tom Costible takes great pains to always have one of the characters set the video camera down whenever filming in a fixed location for an extended period. This filming approach enables all of the characters to stay in-frame and removes potential shakiness indicative of handheld cinematography using a consumer grade camcorder. While the approach works well, the film dips into this well far too often. It seems as if every character that holds the video camera throughout VooDoo at some point places the video camera on the ground about ten feet in front of the characters so they can all remain in-frame. At the end of the day, the technique looks contrived due to the frequency with which it is used. To film’s credit, no non-diegetic background music is infused into the film. Voodoo contains some sound design after the 50-minute mark of the film, but the treatment comes across as natural to the environment. The only issue with respect to sound is that in many (but not all) of the outdoor scenes, the characters sound as though they are wearing mics. Technically speaking, the volume of the characters’ dialog fluctuates as the characters move towards and away from the video camera. The crystal clear dialog in the bar scene, beach, and other outdoor locations doesn’t sound quite right for a found footage film. VooDoo contains a good amount of practical effects for a found footage film, particularly in the second act. The effects are hit or miss with respect to realism and believability. For the uninitiated horror fan or viewers not accustomed to watching simulated gore, the effects are likely to generate their intended response. For seasoned horror aficionados, the gore effects are somewhat lacking—perhaps dressing up the props with (a lot) more blood effects would have compensated for this deficit. The filming reasons in VooDoo start out okay but decline as the film progresses. During the first act, the protagonist Dani verbalizes her intent to film everything during her trip, a reason common to many found footage films. This filming reason breaks down quite often during the first act. Dani films sightseeing trips and conversations with friends, which is completely appropriate and expected. The filming reason breaks down when Dani inexplicably records events that have nothing to do with her vacation. 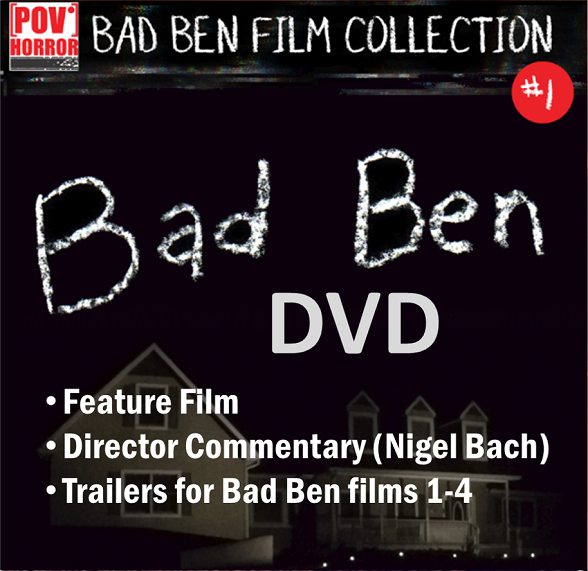 For example, Dani leaves the video camera recording at her bedside at night; her cousin places the video camera on the ground in a parking garage to record a distressed Dani following an adversarial phone conversation with her ex-boyfriend; and Dani leaves the video camera recording on the beach while sunbathing. This reviewer found himself half-expecting the video camera to be stolen since it was left recording on a public beach at least ten feet behind the two women sunbathing with their backs to the video camera. During the second act of VooDoo, the filming reason is both more plausible than the first act, but at the same time, the circumstances behind the actual cinematography are, for lack of a better term, inexplicable. Someone (or something) is holding the video camera while Dani is in hell. Setting aside the obvious questions and taking the plot for what it is, the filming reason works well. The found footage purity measures how well a film comes across as actual found footage. Overall, director Tom Costible makes a good faith effort to adhere to the found footage conceit of VooDoo. The challenge the film faces is that VoodDoo is too cinematically pristine. The film would benefit from more shakiness and flaws. The same criticism holds true for the audio (discussed earlier), which is too pristine for a found footage film. A particularly useful trope missing from VooDoo are scenes where the cinematographer(s) pass in front of a mirror (or window reflection), enabling the audience to see that the character(s) are in fact holding the video camera. 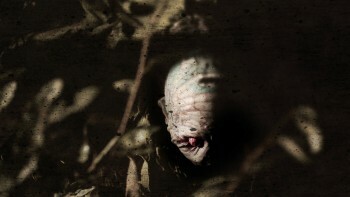 The found footage purity truly comes under scrutiny in the second act of the film. The very existence of the footage in the second half of the film begs several questions—Who is filming? Why is the video camera filming? How does the footage (presumably shot in hell) find its way back to our realm? Depending on how one interprets VooDoo, the answer to these questions may be more existential in nature than grounded in literal meaning. The acting in VooDoo is good for what the film sets out to achieve. Samantha Stewart as Dani portrays a free spirited, happy-go-lucky young woman. Samantha Stewart effectively carries the film in the lead role, although her New Orleans accent is challenged (and inconsistent) at times. She does a good job portraying the terror, fear, and ultimate resignation one would expect from a person thrust into a similar situation. Samantha Stewart hales from a background in television, where she most recently holds a recurring role in Days of Our Lives from 2013 to present, and has a role in the horror film 12/12/12 (2012). Ruth Reynolds does a good job playing Dani’s cousin Stacy. Both characters are cut from the same cloth, with Stacy perhaps a bit more toned down from Dani’s throwing caution-in-the-wind approach to life. She appears in many shorts over her career and is in the upcoming action/horror film, Witchula (2018)—with found footage film veteran Bill Oberst Jr. The rest of the ensemble cast, including Stacy’s friends, voodoo priestess, gypsy, Ron Jeremy (as himself), all perform admirably in their respective roles. 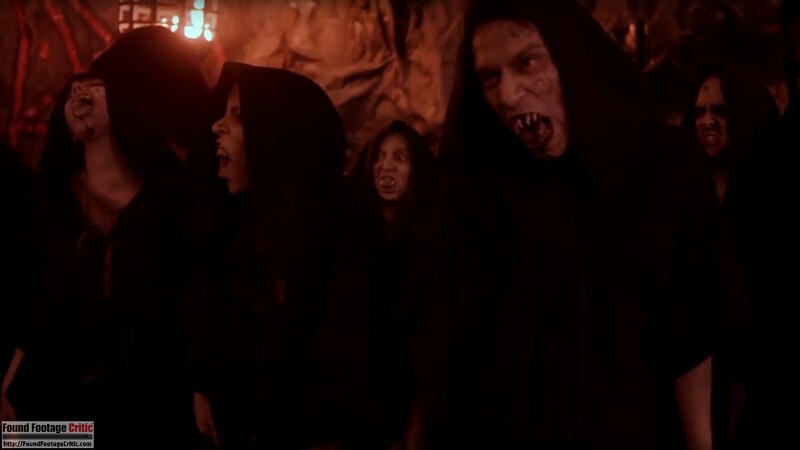 The actors playing the demonic cast do a hellishly good job portraying the nightmarish underbelly of the afterlife. The story Tom Costible has to tell is simple on its face. A woman has an affair with a married man and his wife, a voodoo priestess, casts a spell that causes Dani to pay a price for her sin. The full name of the protagonist, Dani Lamb, is a bit too on point with the theme of the film—but she is the sacrificial lamb for the purposes of this story. It is said that the effectiveness of a voodoo spell is predicated on the victim believing in voodooism and also believing that they are guilty of something. If the victim is truly innocent, then hypothetically, they would have nothing to fear. During the second half of VooDoo, Dani literally enters hell and is presented with imagery that is presumably from her tortured past. In one scene, Dani is a victim—where as a child, she was abused by her uncle. In another scene (also discussed early in the film) Dani presumably had an abortion—which is symbolically represented in the film by a pregnant woman giving birth to a stillborn child. One can argue that Dani creates her own personal hell based on the guilt she’s harboring from her past indiscretions and inner demons. The voodoo priestess may have opened the door to hell, but Dani chooses the manifestation and severity of her punishment. In what is perhaps the ultimate punishment, Dani is violently raped by a demon at the climax of the film. At this point, Dani thinks the worst is over, only to learn that she is dead and the nightmare will continue for eternity. VooDoo raises the question as to whether the second half of the film is actual found footage or whether the scenes are a fabrication in Dani’s mind. Is a servant of the underworld filming Dani’s punishment to further denigrate and malign her existence? As a found footage film, VooDoo is not without challenges. Nonetheless, the film is a wild ride that will bring you to hell and back. 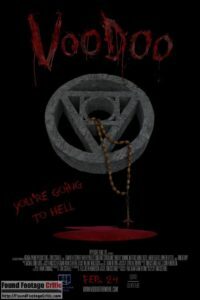 VOODOO is a found footage horror film with a unique and graphically explicit second act. 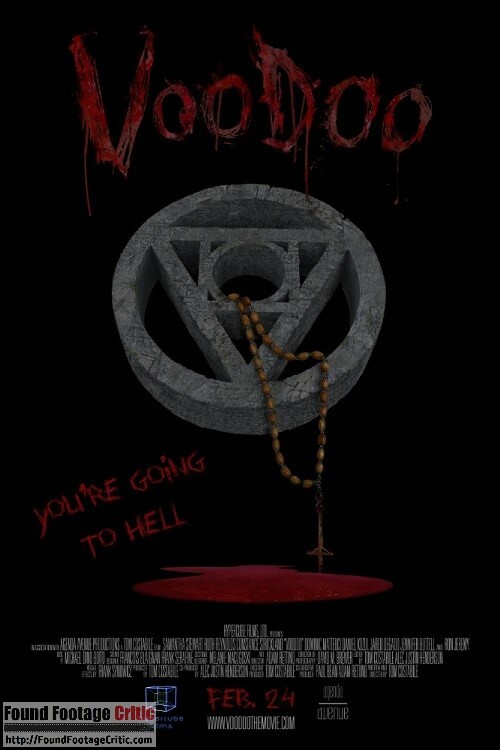 While some of the practical effects and acting are challenged at times, the second half of VOODOO is a hell of a ride!